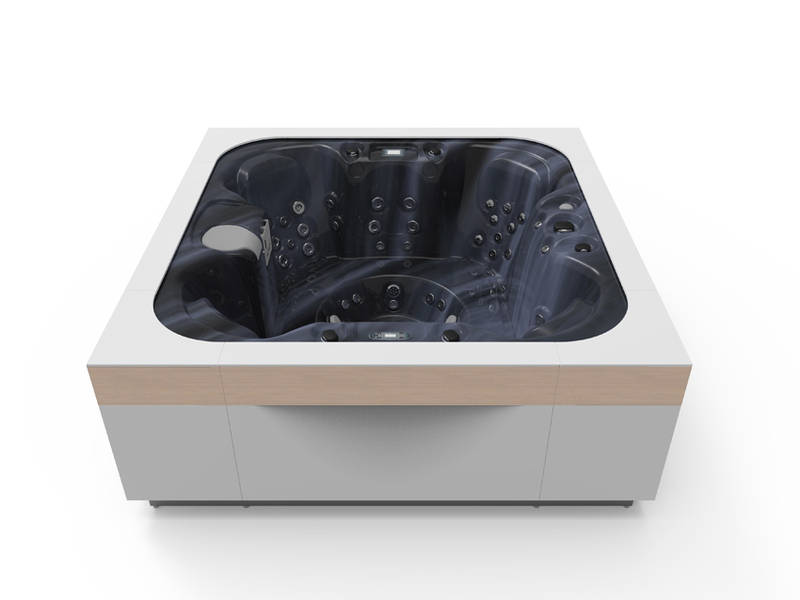 Do you want to buy an innovative hot tub? 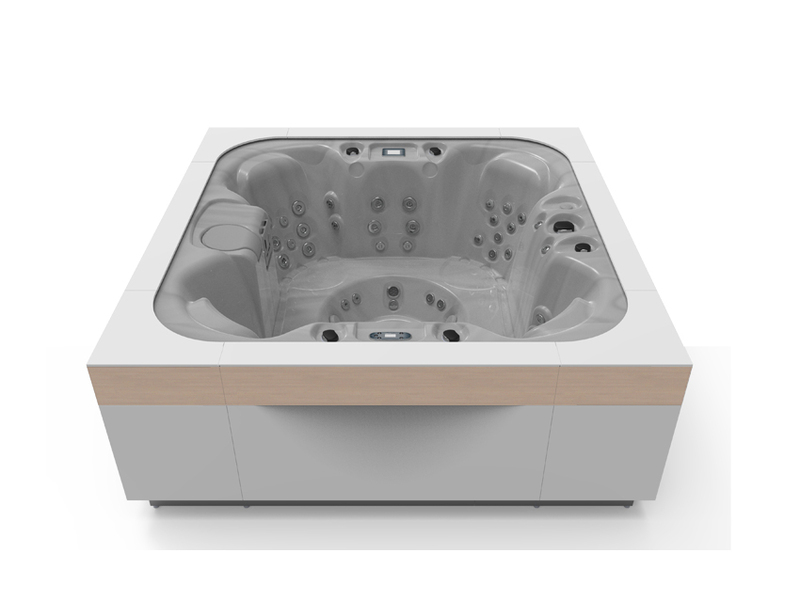 The Spa Wave is our domestic hot tub that always stays ahead of the curve in terms of design and features. 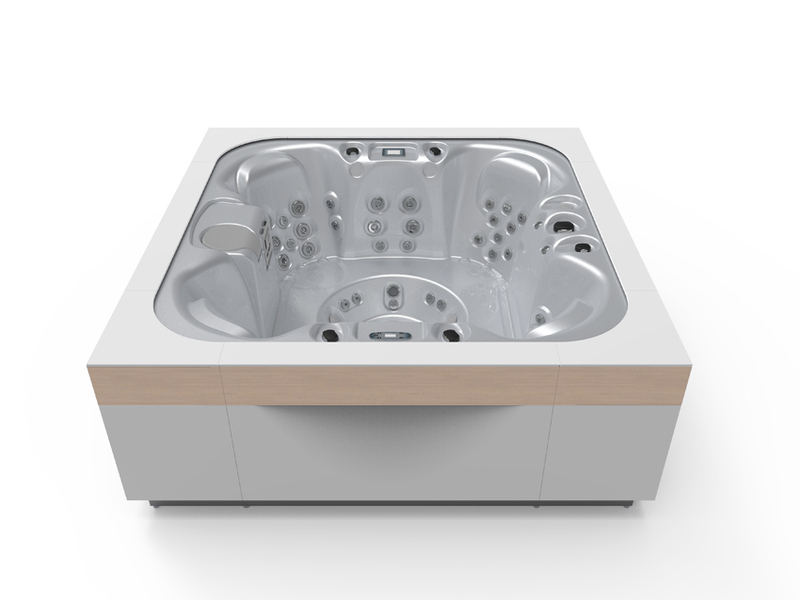 If you are looking for an exclusive, top-of-the-range, high capacity hot tub, this is the best choice for you. 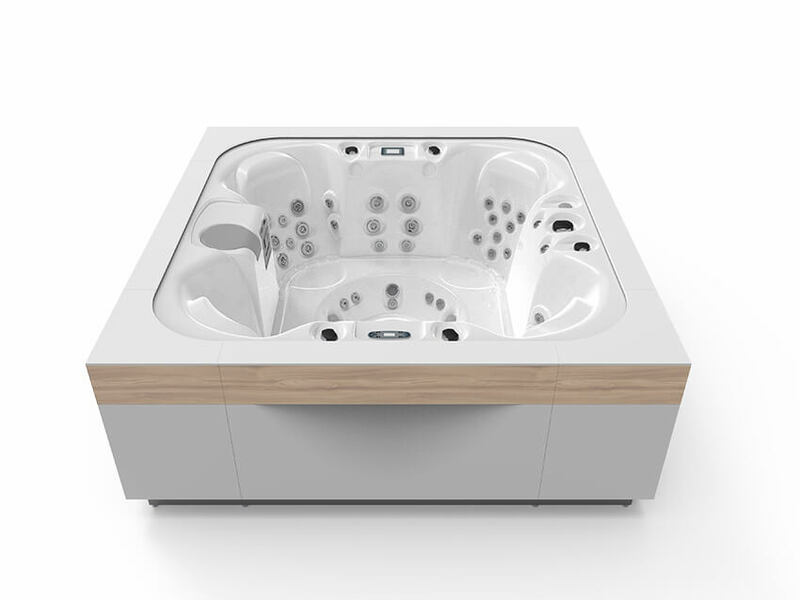 With capacity for 6 people, the Wave is a top-of-the-range hot tub with the best reputation on the market, thanks to its exterior design, interior contours and ergonomics, and suite of features, all aimed at offering the best hydromassage for the most demanding customers. 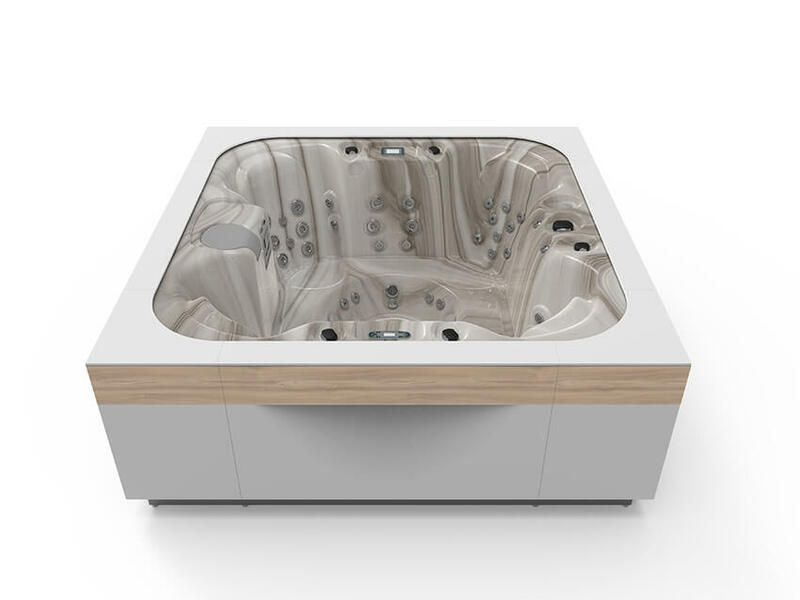 The best therapeutic, cleaning, maintenance, and efficiency features come together in the top model of the most exclusive family hot tub segment in Europe. The Spa Wave comes with the most exclusive and best features from Aquavia Spa, and as its name indicates, it is designed to envelop users in a sea of sensational well-being. To begin, each of its 6 seating positions has an arrangement of jets and nozzles with a different massage format. But that’s not all: the Flexible Massage option from Aquavia Spa is a massage sequencing system that imitates the hands of a masseuse, allowing you to adjust the intensity and speed. You can also adjust the height and inclination of the seats to best enjoy the benefits of all the features that enhance the wellness experience (jets, waterfalls, lit-up accessories). Light and sound play an important role in the enveloping effect. 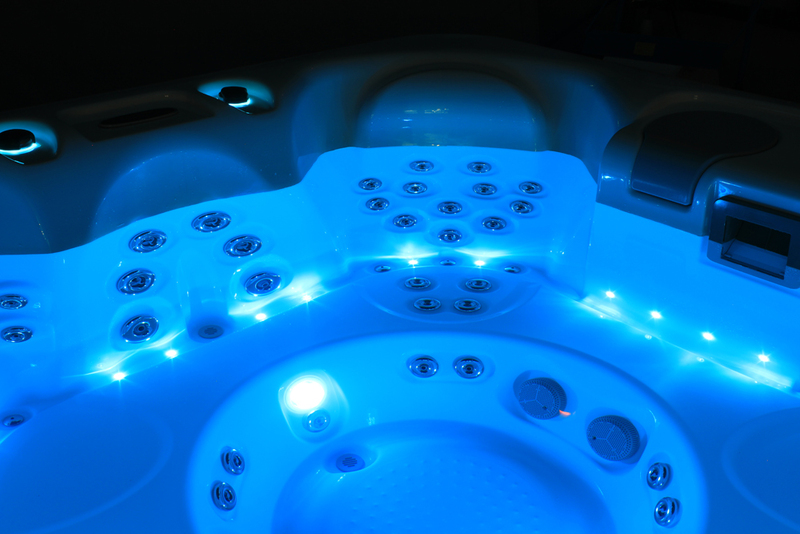 Like all the hot tubs in its range, it comes with enveloping chromotherapy systems (Colour Sense) that synchronise with its exquisite exterior lighting (Pure Line Lighting) to enhance relaxation with sensational light sequences. The sound is also enveloping, featuring Surround Bluetooth Audio with 4 top quality speakers and a subwoofer. Relaxing in a hot tub like the Spa Wave is a truly luxurious experience, like a wave of pleasure in a true haven of well-being. The Spa Wave has a whimsical, voluptuous design that engages the senses. 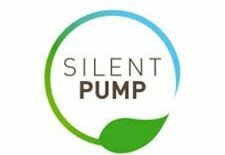 The art of its design evokes emotions because it is ultimately conceived to help people feel better. In fact, its gentle, wavy shapes let users move around freely and easily choose their preferred position, with them also being able to adjust the height and inclination of the seats. The water flowing in from the jets and waterfalls only amplifies this sensation of total and complete comfort.